I recently bought a Lindsay Airgraver Classic. I like it a lot so far. I like how the power can be adjusted on the handpiece. It feels different from my Gravermax, not better or worse, just different. Here is the Airgraver regulator and my old Gravermax. 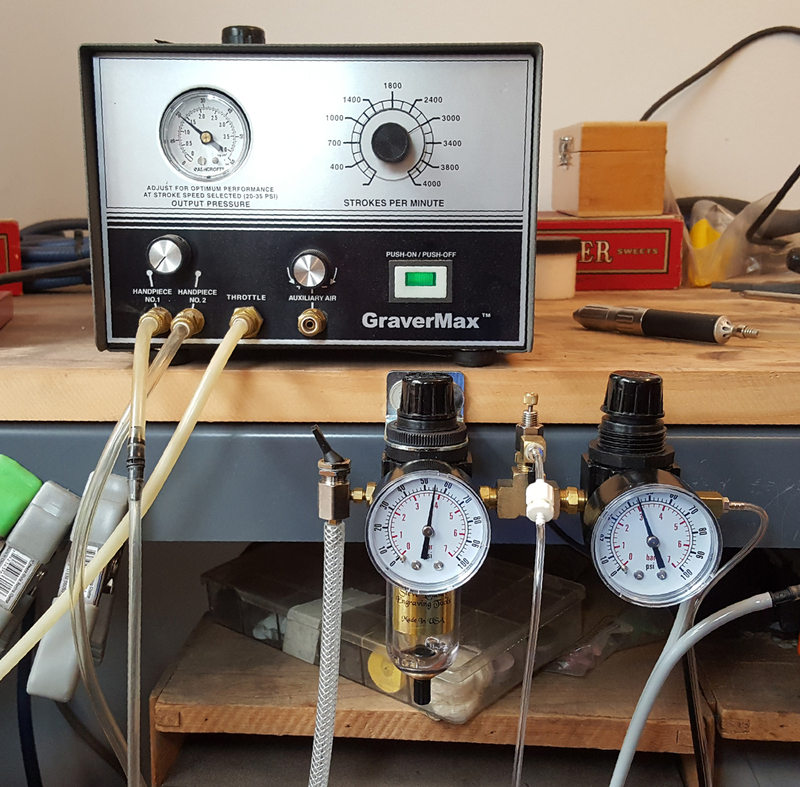 The power is controlled in the handpiece of the Airgraver, while the Gravermax uses an air pulse from the control box. They both have a connector for a high speed air handpiece, but it is controlled with a foot pedal on the Airgraver and with a knob on the Gravermax control box. Lock Picking Lawyer, who has a popular lock picking You Tube channel reviewed one of my picks. This is the pick he reviewed. This wood is called tambootie. Here are some lock picks I finished recently. I have made a lot more than the ones I have been posting in this blog, but I usually don't take nice photos unless I really like them. 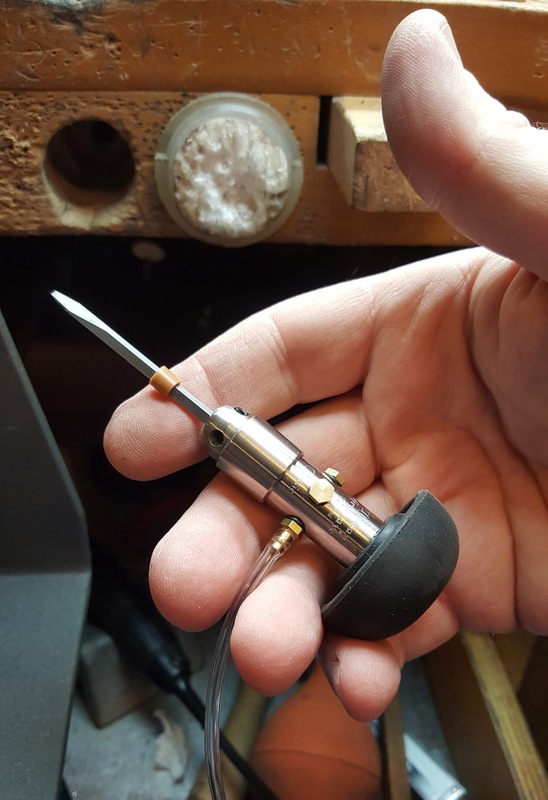 Selling custom lock picks has been going really well since I started promoting them more in October. It's not a full time job, and I didn't expect it to be, but they have been selling better than I ever expected. Of these three I like the first one the most. It is paper micarta with an inlay of some kind of knife handle spacer material. I don't know exactly what the stuff is because I bought it about 20 years ago and didn't keep any record of what the stuff was.